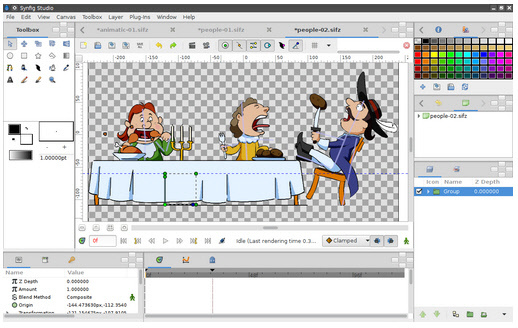 Synfig Studio is a free and open-source 2D animation software for creating film-quality animation using a vector and bitmap artwork. It eliminates the need to create animation frame-by frame. Synfig Studio is available for Windows, Linux and MacOS X.
supports a multitude of layers of various types; geometric, gradients, filters, distortions, transformations, fractal and a few others.